One Owner car with a clean Carproof Report, NO Accidents. Balance of Factory Warranty, in Service date July 8 2015. We Take Trades!! WE Want Your Trades!! Golf Sportwagon 1.8t Automatic, Finished in Pure White. Fully VW Certified and Reconditioned to Volkswagen Assurance Standards, all services up to date. Key Features. Back-up Camera, Comfortline, Bluetooth, Automatic. We’ve found the entire lineup of 2015 Volkswagen Golf models fun to drive, with a ride that’s firm but comfortable. The interiors are very nice, comfortable, convenient, and everything is easy to operate. These are great cars. And we aren’t the only automotive journalists to think so: The new Volkswagen Golf earned the prestigious 2015 North American Car of the Year award.The 2015 Volkswagen Golf is both sophisticated and fun, with European road manners that make it pleasurable to drive around town and on the highway. Buy with confidence, all Town + Country Volkswagens have been fully reconditioned using only quality Volkswagen Original Parts. Every Certified Pre-owned Volkswagen undergoes a 112-point inspection and is thoroughly examined before it can be part of the Volkswagen Assurance program. Nothing escapes our technicians’ scrutiny – they’re determined to give you the Volkswagen certified vehicle you deserve. Our multi-point inspection ensures that this vehicle is in outstanding condition visually and mechanically. Tires and brakes are inspected and serviced to be good for many thousands of kms to come. All servicing is up to date. In addition to the balance of factory warranty (4yr/80,000km) Comprehensive Warranty and 5yr/100,000km Powertrain Warranty. Call today to book your demo drive! You can also find a complete list of our pre owned inventory at www.tcvw.ca We have proudly been serving the communities of Markham, Richmond Hill, Aurora, Newmarket, Vaughan, Thornhill, Toronto and Durham regions for over 30 years. We are winners of multiple Volkswagen Wolfsburg Crest Club Awards! 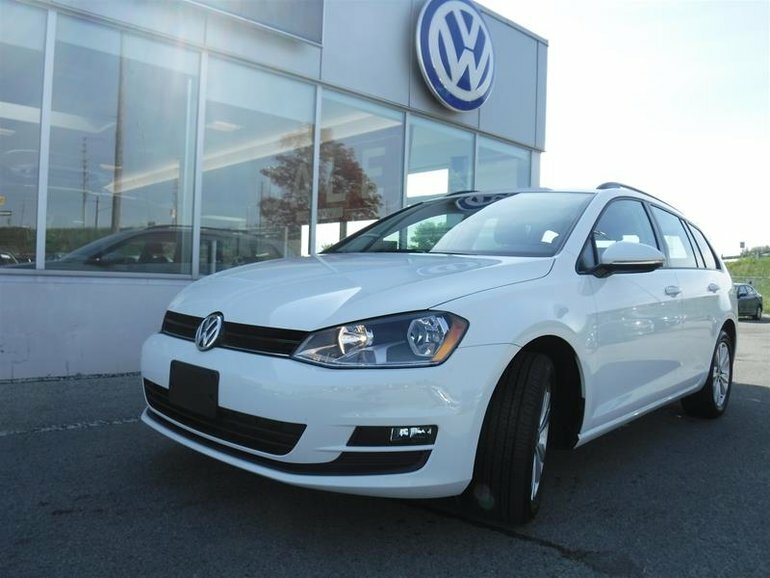 Interested by the 2015 Volkswagen Golf Sportwagon 1.8T Comfortline at w/Tip ?